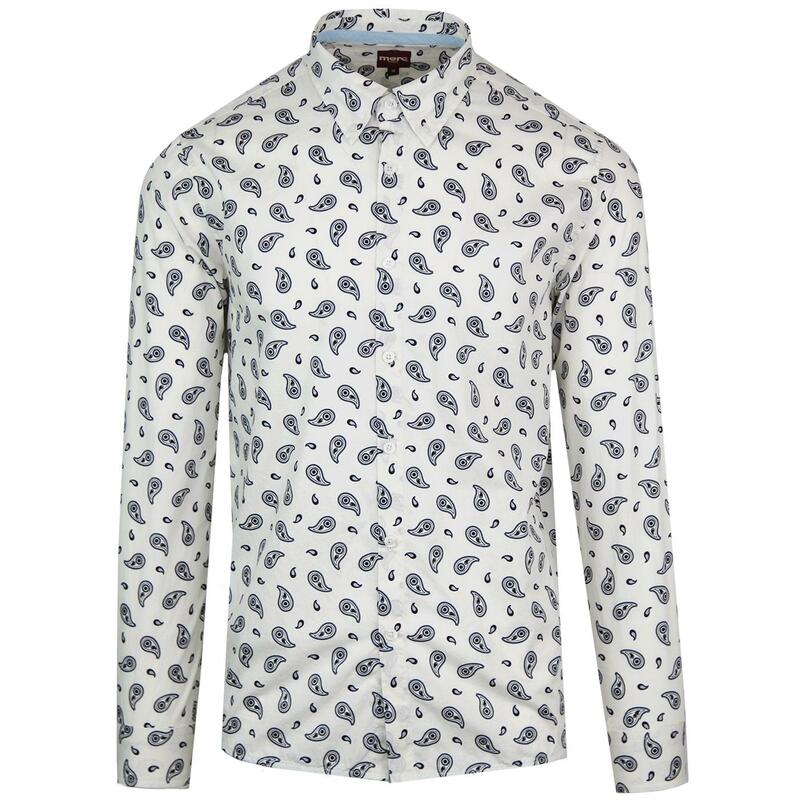 Endell paisley print button down shirt in off-white by Merc. 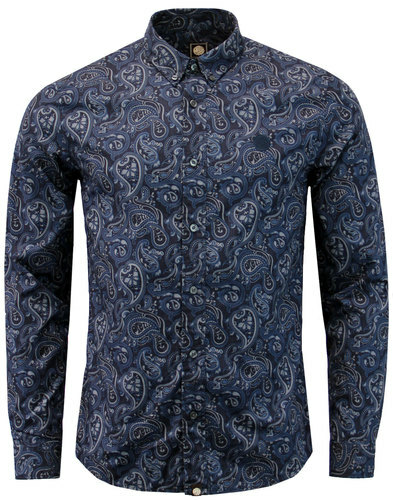 This stunning retro Mod shirt conjures up images of the swinging sixties with its fabulous sharp blue and red paisley print that stands out against the off-white. 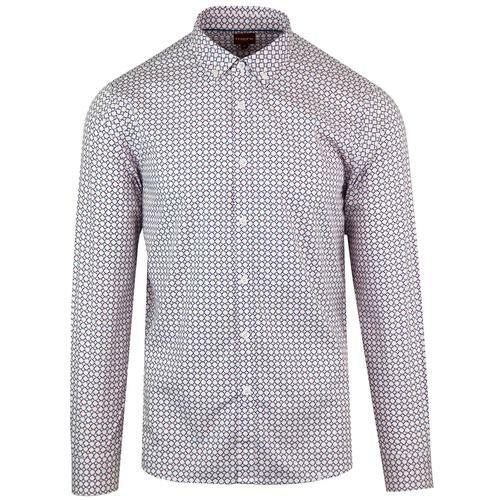 Endell has a Mod button down collar with pearlescent buttons and has long sleeves to keep the cold out. Superb to wear for parties or dressed down. 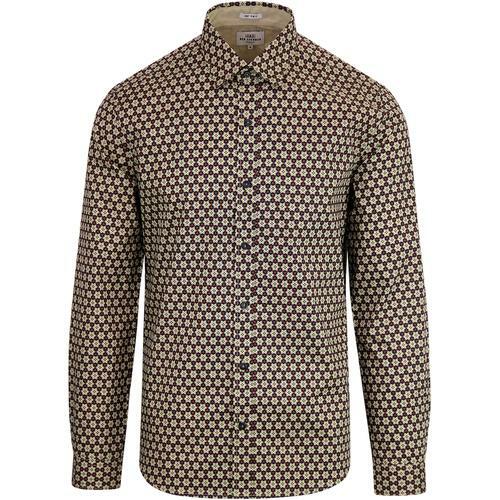 Endell paisley print button down Mod shirt by Merc. 60s retro blue and red paisley print. Signature pearlescent buttons with 'Merc' printed on them.